Ron Nirenberg was elected mayor of San Antonio on June 10, 2017. He has been committed to public service most of his life, including serving as a program director for the Annenberg Public Policy Center. He was first elected to the San Antonio City Council in 2013. The former District 8 councilman helped guide one of the fastest-growing areas in the state and pursued policies that celebrated the city’s diversity. He has championed smart planning, economic development, sustainability and government accountability. 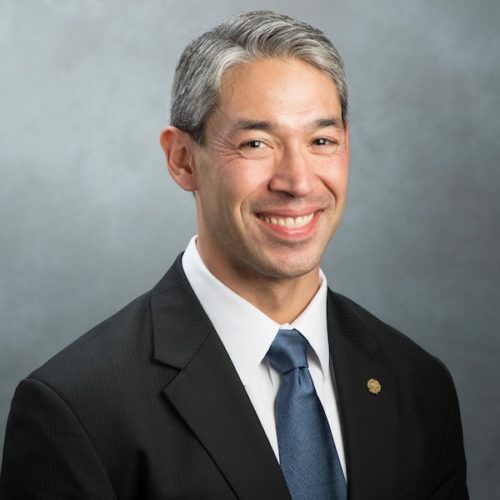 Mayor Nirenberg is committed to nurturing San Antonio’s diverse economy, promoting its leadership on an international stage and pursuing strategies that foster resilience and equity in all sectors of the city. He is committed to building a city that works for all, adapts to rapid growth, and advances innovation and opportunity for local businesses while balancing sustainability goals.